My walk this week moves from a suburban location (see the last two weeks posts) to the inner city location of Belfast in Northern Ireland. The first two images below may not look like the inner city but you don’t have to walk far up the river Lagan to reach this point on its route into Belfast. 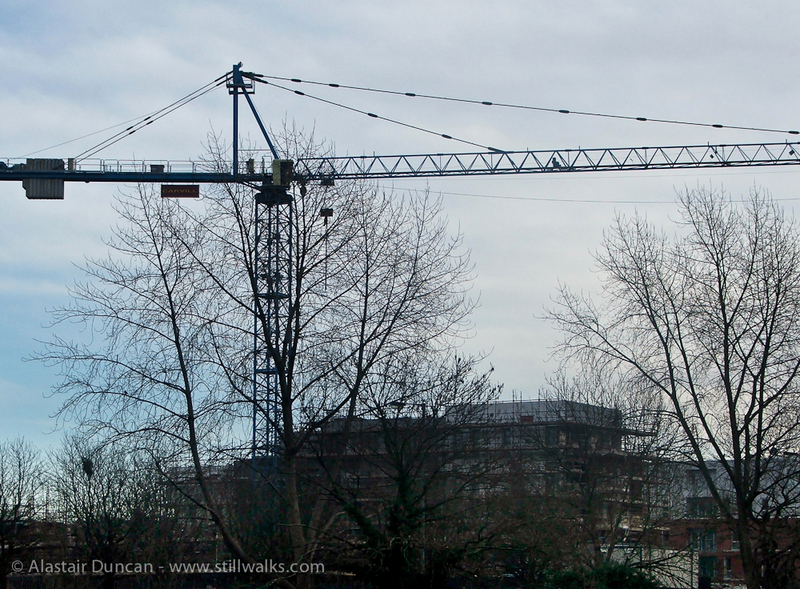 Perhaps the construction crane in the third image comes closer to proving the city location. 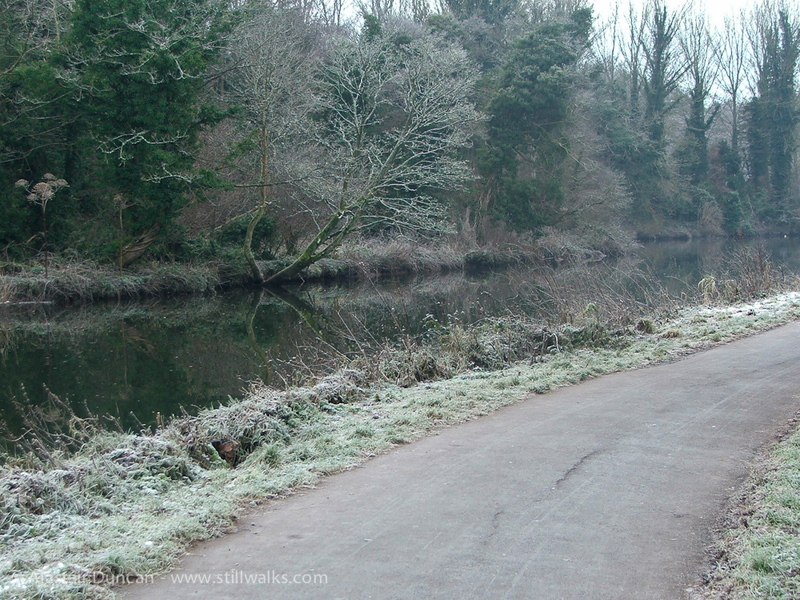 Posted in Landscape, My Walk this Week, Photography, Walks and tagged Belfast, city, construction, cormorant, crane, footpath, frozen, landscape, My Walk this Week, photography, river, River Lagan, walks, Winter. Lovely contrasting subjects, Alastair, and I particularly liked the shot of the cormorant. Thanks very much. Technically not such a great shot but the bird is a beauty! I thinks that’s why I like Swansea and South Wales too Thom – the sea and the hills. Walking in the Brecon Beacons also reminds me a lot of the Mournes even though they are quite different. I love it when I come upon a quiet place in an urban setting, and you did a good job here, Alastair, of showing the contrast. 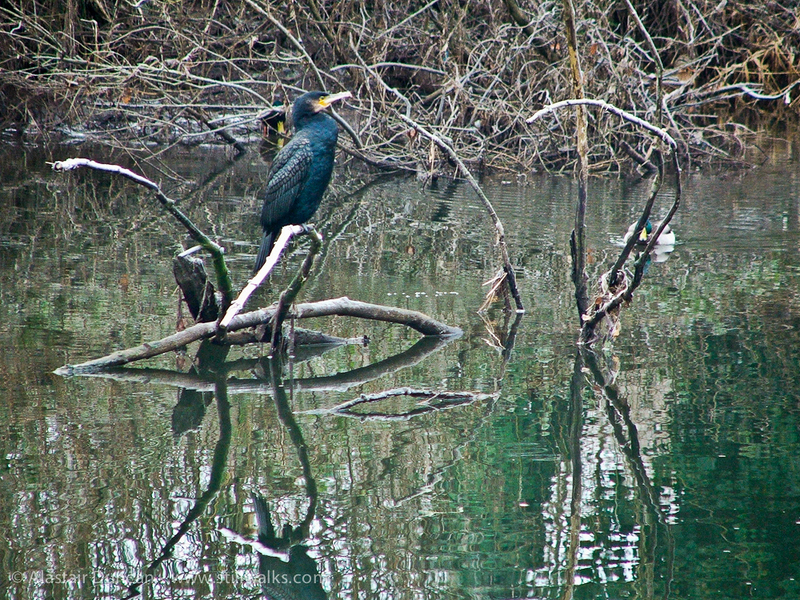 Cormorant photo is especially lovely. Thanks Jet. The quiet places are there to be found but like the atmospheric conditions, they are always changing.